In the past recent years, the annual American Psychiatric Conference has featured a musical instrument that has been part of my journey as a person. Here’s the thing. Not a lot of people expected the presence of this musical instrument (the piano) in the conferences including me. Regarding the instrument, I learned to play it in kindergarten, and continued doing so ‘til my college years. Although, I immensely enjoy the activity, I did not indulge in it to have therapy. I played the instrument because I love doing it, and because at an early age, I discovered I was musically inclined. 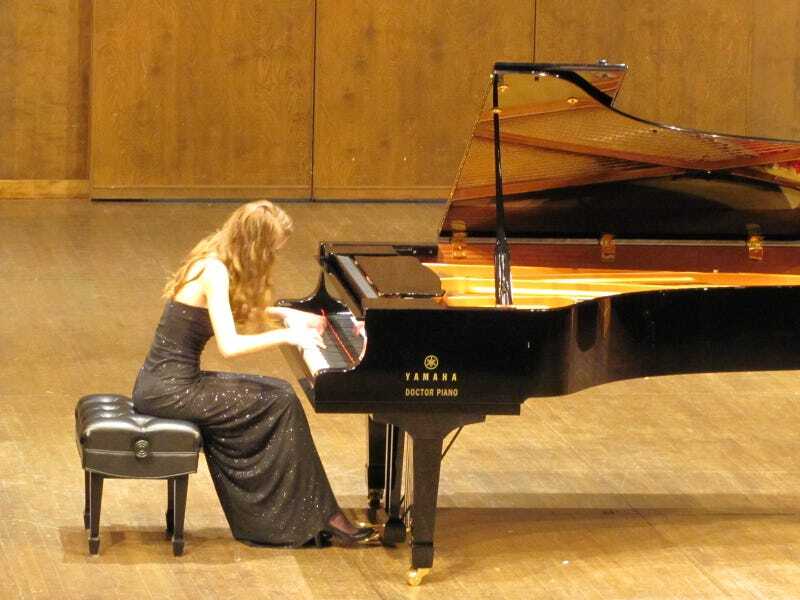 At one of these conferences, several booths are provided with pianos, so anytime (if they feel like it) therapists get away from their desk to take a break and relax by piano playing, or if they can’t, they listen to piano music. Al Bumanis, a communications director for the American Music Therapy Association, shared this interesting info. “The idea,” Bumanis adds, “is that the psychiatrist can come by the booth to de-stress.” Psychiatrists utilizing the piano as a tool to de-stress is an unorthodox idea by all angles. And, obviously, something that many people are not prepared to accept. But, to me, at least, it’s a great endorsement for the musical instrument’s ability to soothe a troubled spirit. Remembering the feeling now, I was actually enthralled by the power of the instrument to somehow transport you to another place and time. As a young child, I have felt like I was in another era when I played waltzes composed by Beethoven himself. Now, if only I have known that playing this wonderful instrument is therapeutic. I would have continued doing so. Being able to learn all these positive things about playing the piano, I’m really motivated to go back playing it. Ok... so piano playing has been proven that it can improve health in general, don’t you think it’s wise to go into it, finally, if you have not tried it? I think you should and don’t delay. I’m a freelance writer and there are times I am overwhelmed by writing assignments. There comes a point in a month when I feel extremely tired from writing all those articles, web copy, other blog contents, Etc. I believe it’s not too late to go back exploring music again. This time fully aware about the healing that piano playing can miraculously do for my weary soul. This time I can do it to de-stress and get away from it all. Well, I know this will require a small investment to buy a decent piano, and to care for it. But, thinking about the intrinsic benefits, it will be all worth it! While researching for this post, I also discovered something light and enlightening from the site Piano Therapy Plus about piano therapy: A premise of piano therapy is: Learning to play the piano is fun! The piano itself stirs curiosity and inspires self-initiated learning. Piano Therapy creates a fun environment that is personalized to the individual, motivates learning, instills confidence, builds self-esteem, and encourages smiles and laughter! With all these amazing and wonderful facts about playing the piano, if you are not yet motivated to enroll next month, I really you will miss a lot!